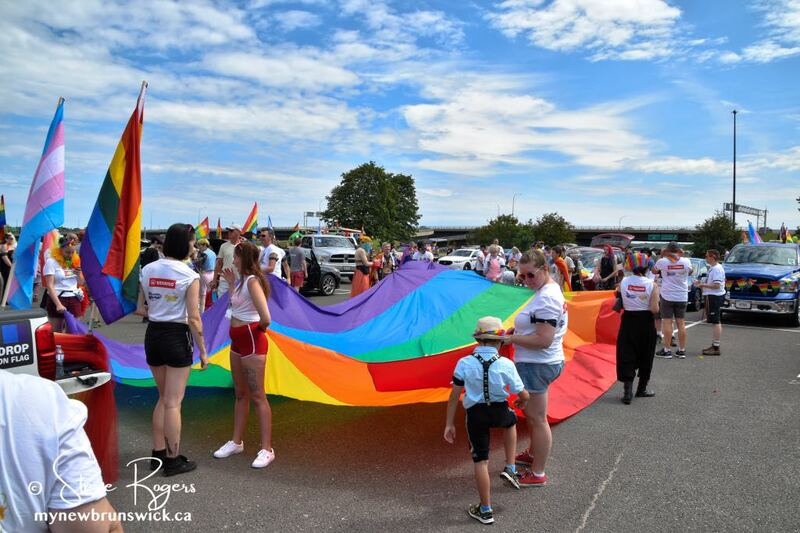 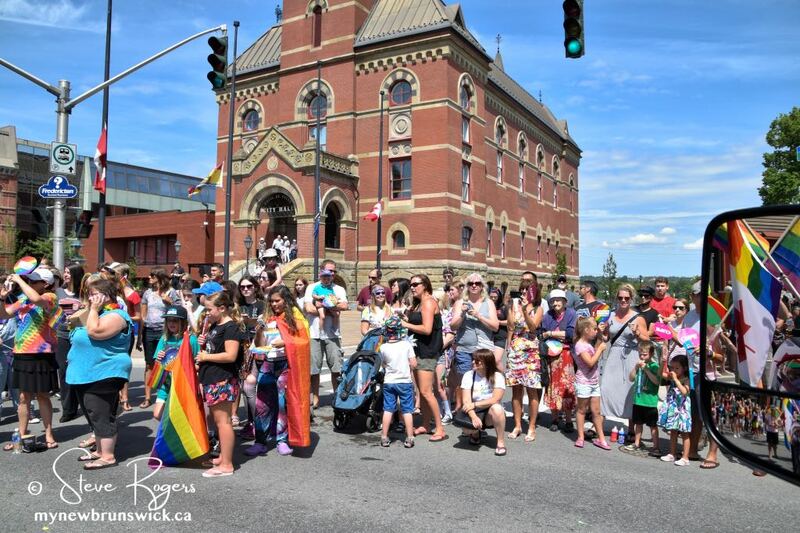 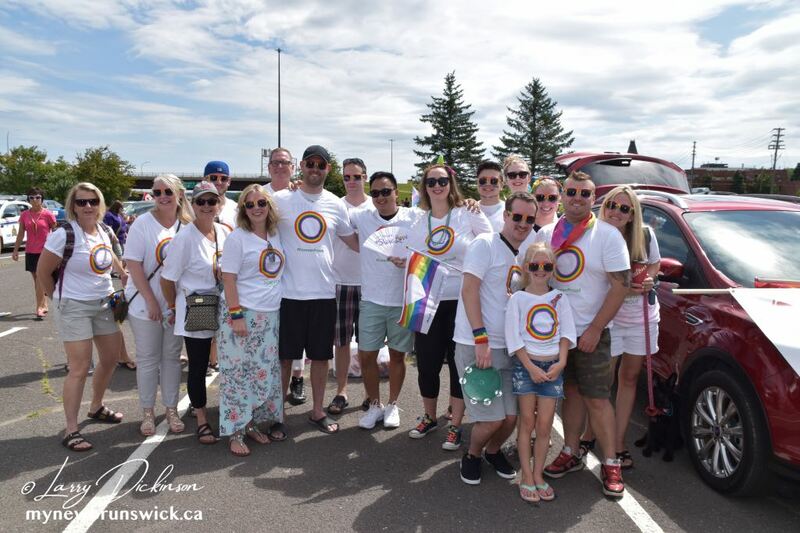 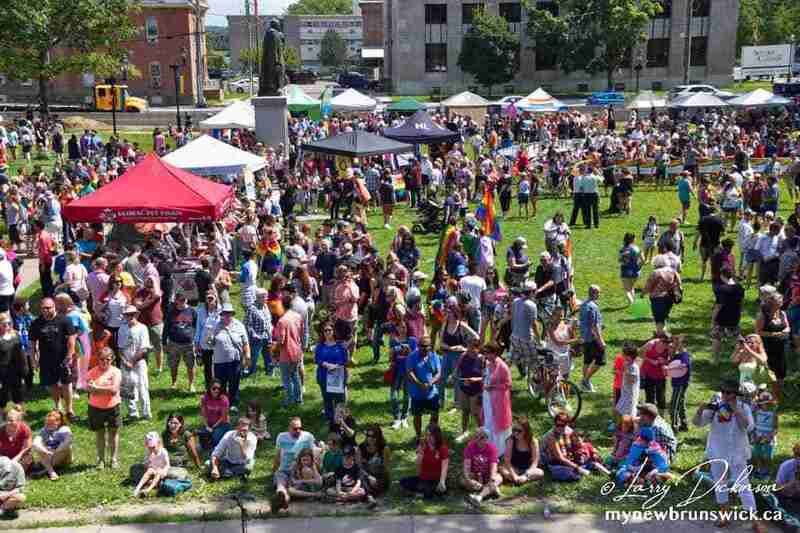 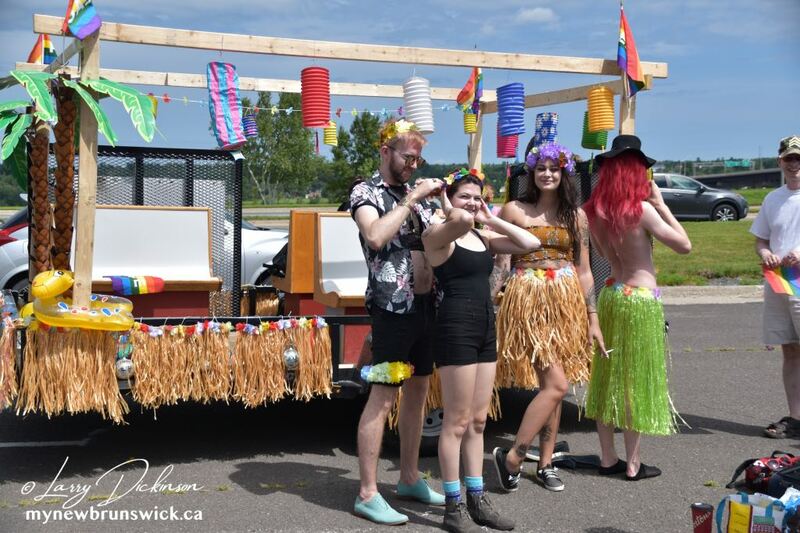 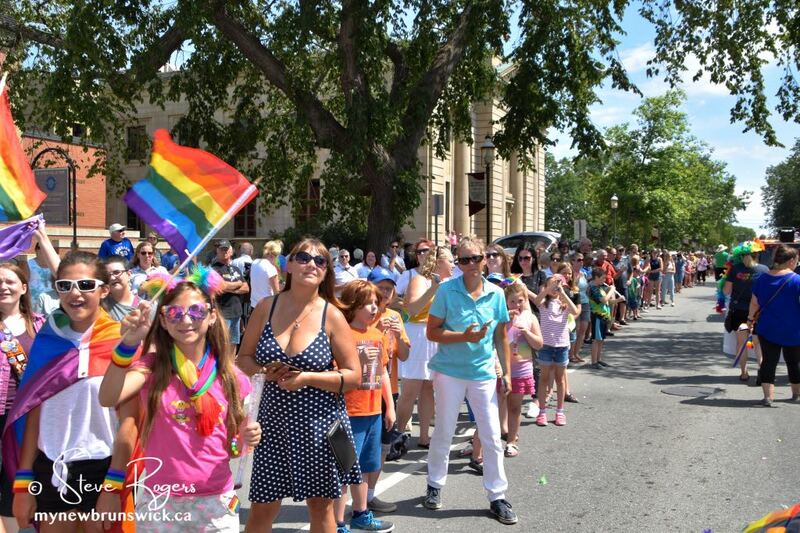 The Fredericton Pride Parade was held in Fredericton today, just two days after a deadly shooting. 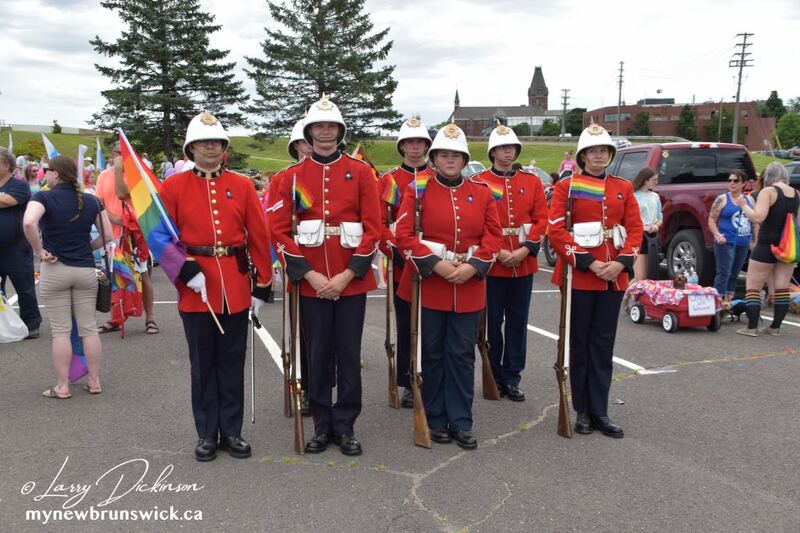 The annual festival included a moment of silence to honour the victims who lost their lives. 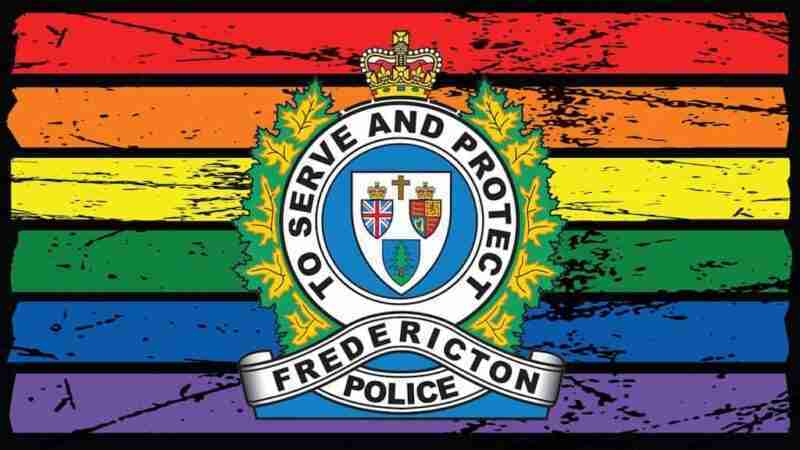 Fredericton Mayor Mike O’Brien told reporters Saturday the event would proceed as scheduled. 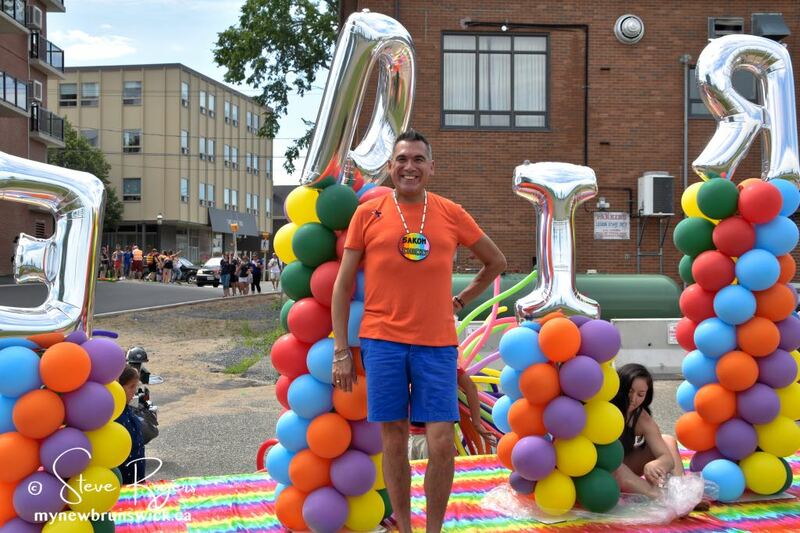 “It’s a way for our community to start rebuilding,” he said. 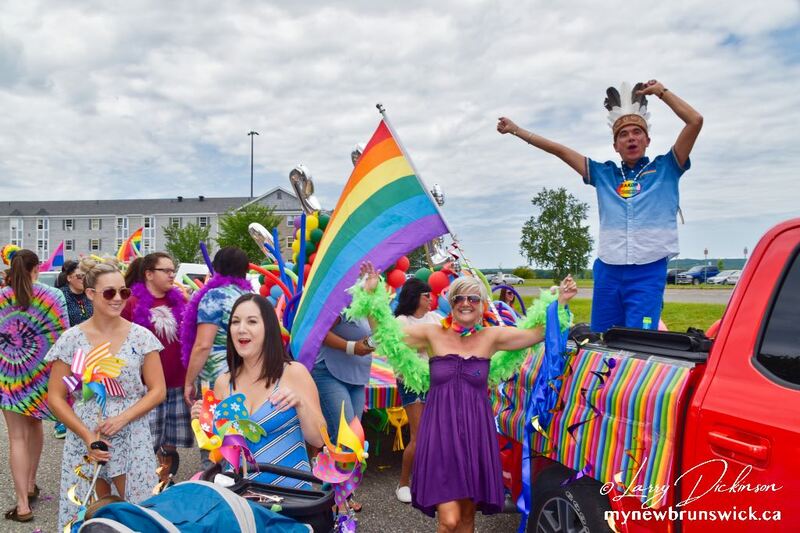 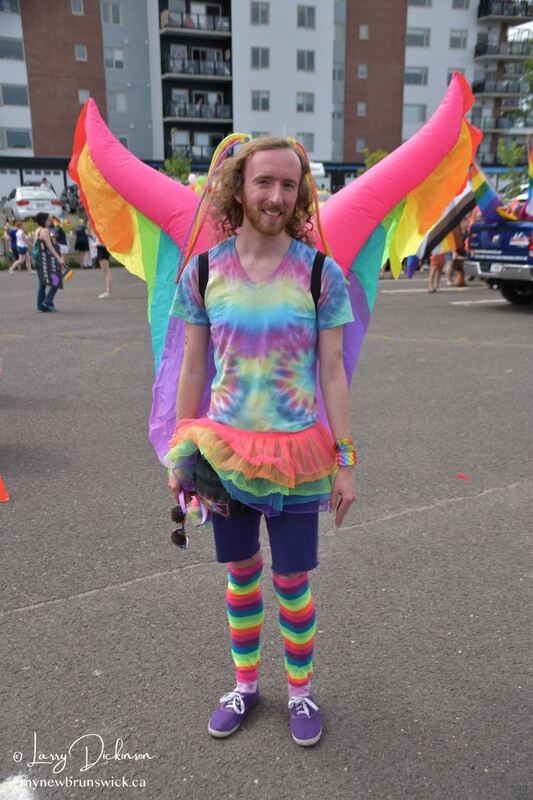 It was estimated to be the largest Pride Parade ever held in the city with thousands lining the streets. 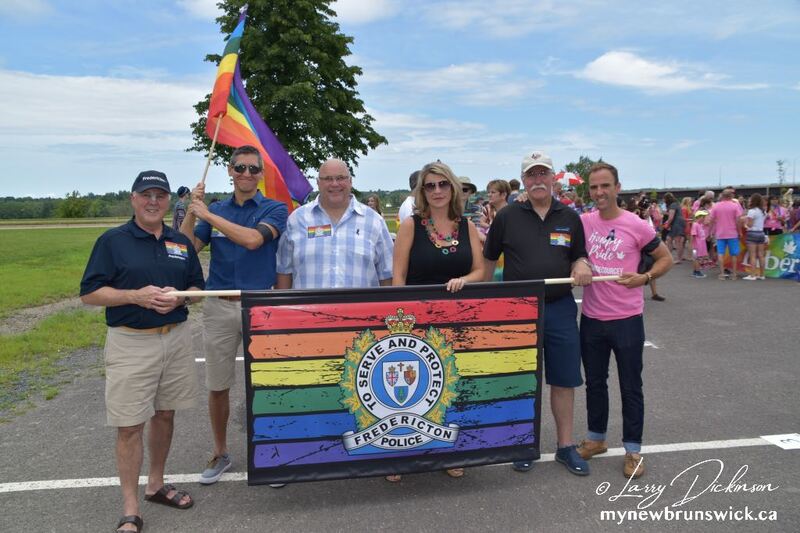 As a Cruiser from the Fredericton Police Department passed by, the crowd cheered loudly in support of the local force, many reaching out to the officer to shake his hand and say “thanks for your service”. 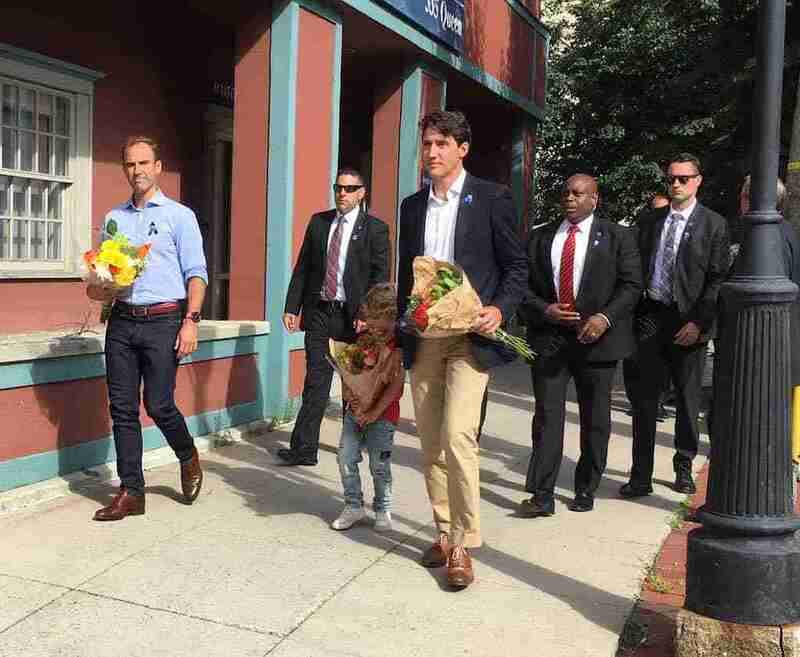 Prime Minister Justin Trudeau. 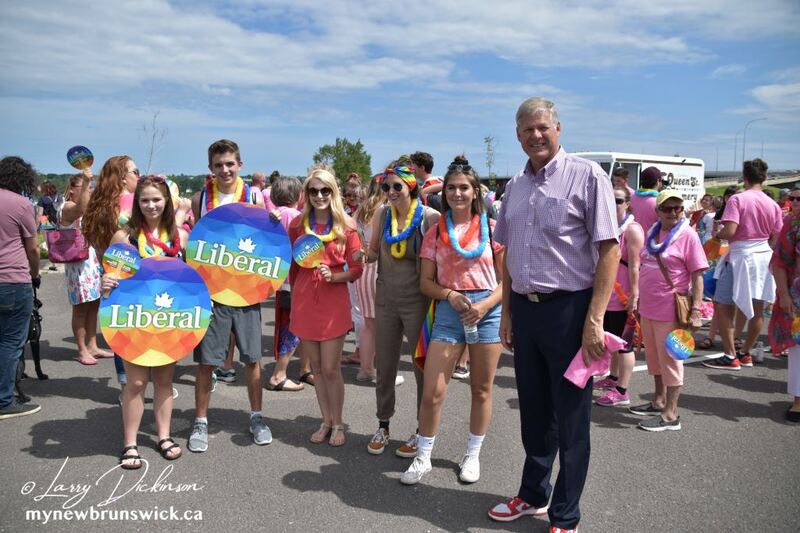 Catherine Harrop (CBC) Photo. 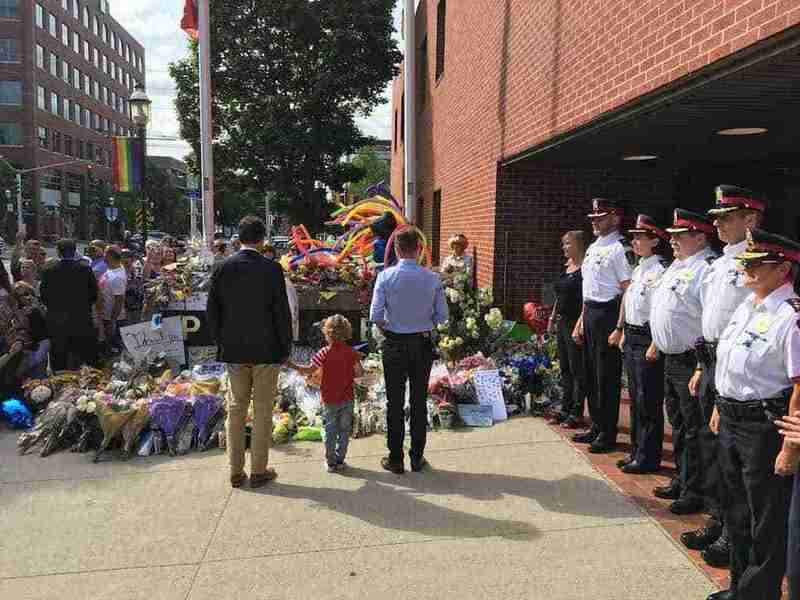 Prime Minister Justin Trudeau met with the families of the victims and a group of officers of the Fredericton Force, then laid flowers at the public memorial in front of the police station. 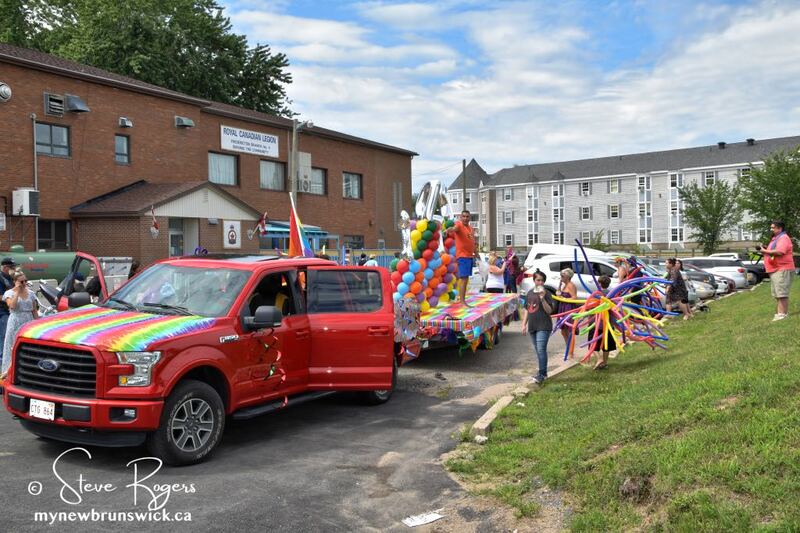 This year’s Parade Marshall was Chicky Polchies, Chief of St. Mary’s First Nation located on the northside of the city. 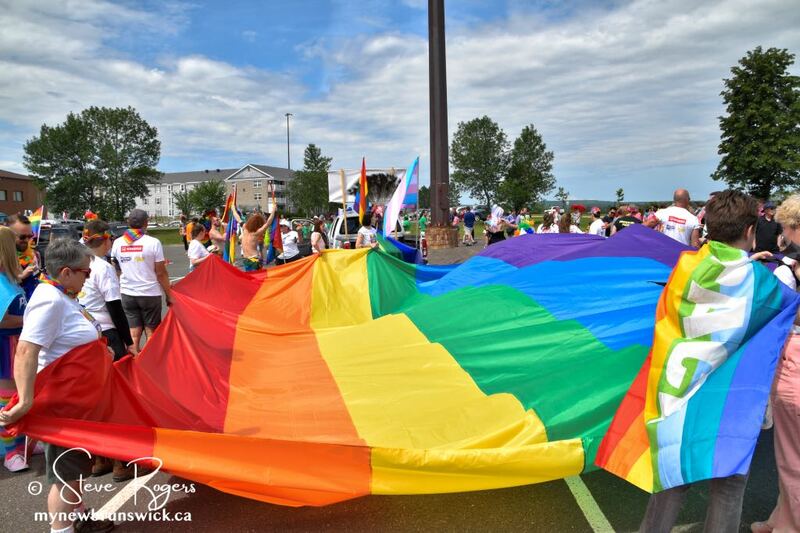 Following the parade, the Pride Festival was held at Officers Square which included booths and live entertainment. 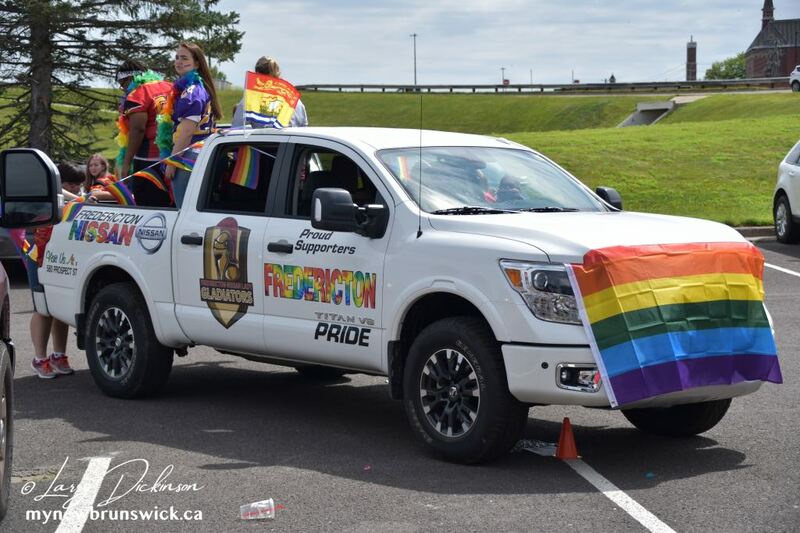 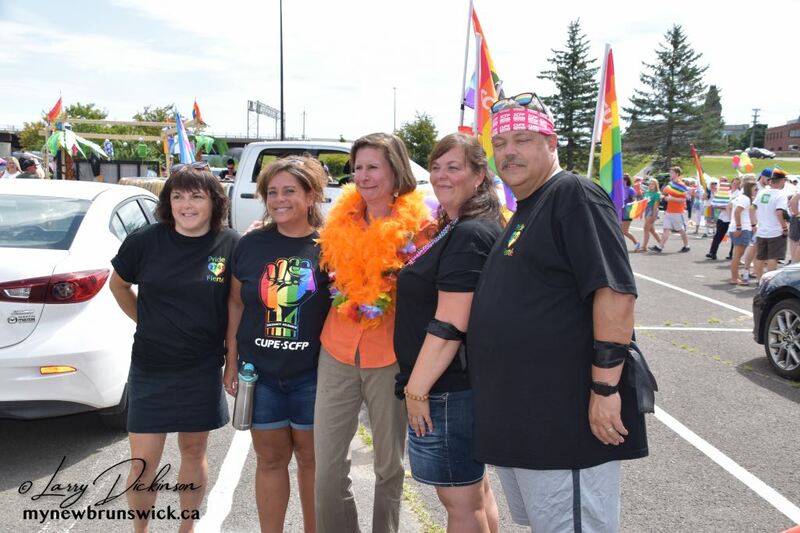 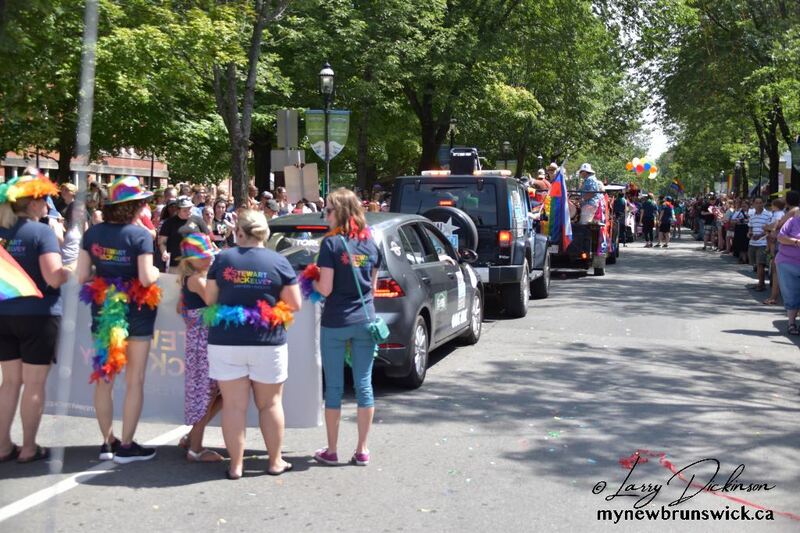 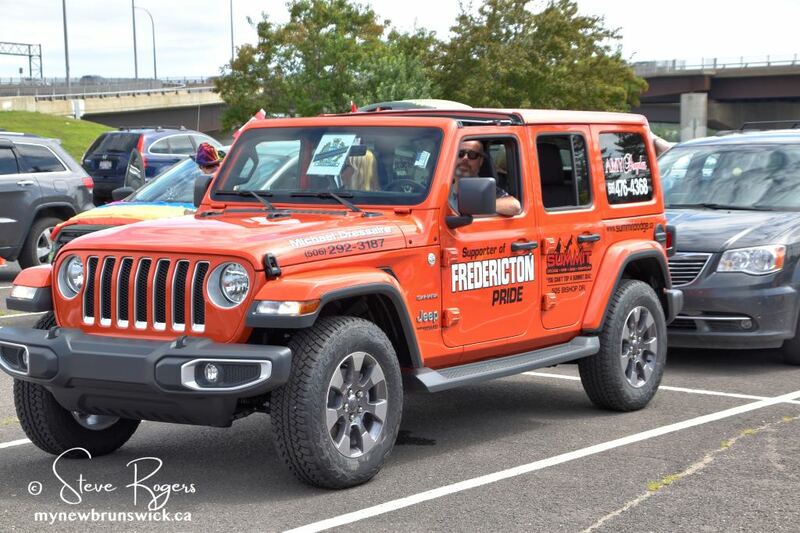 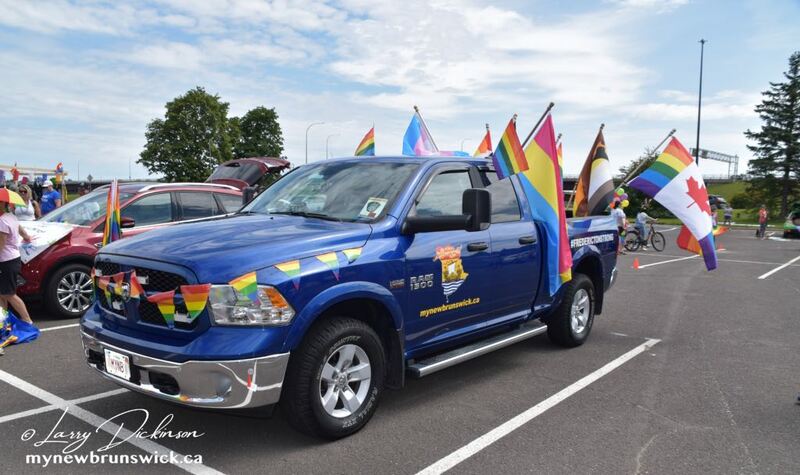 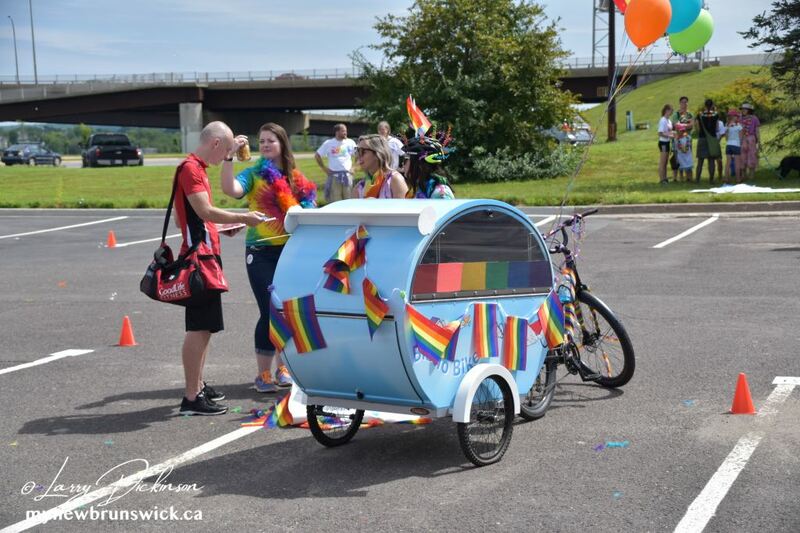 To see a video of the parade, visit the Fredericton Pride Facebook Page.